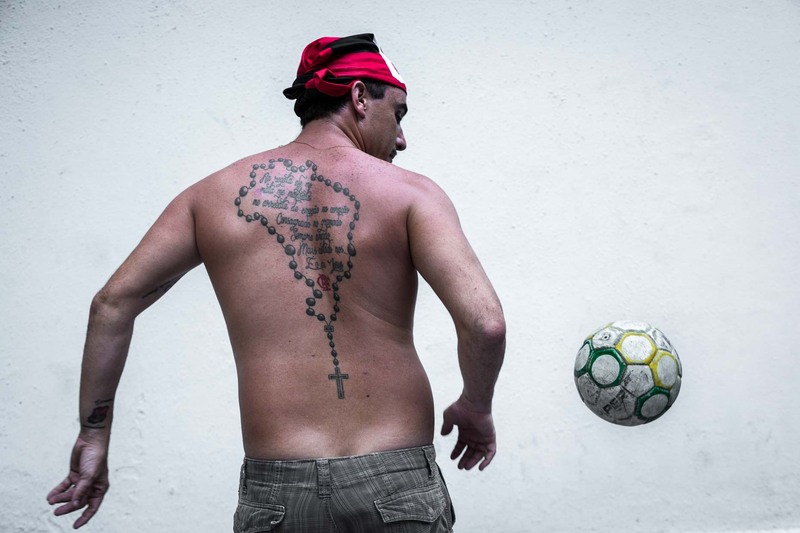 Leandro "Maradona" Marques, an ardent Flamango FC fanatic practices his ball skills against a wall, on his back a rosary and crucifix tattoo in the shaped of Brazil's territorial boundaries. In it's centre Flamengo's anthem . As he says " every time his team make a goal he cries with joy, his girlfriends come second in importance to Flamengo FC. Rio de Janeiro, Brazil.